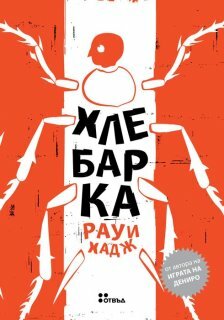 „В „Хлебарка“ отзвучава загрижеността на Хадж – неговата запазена марка – за лузерите в този наш живот, за обезправените, за нещастните и отчаяните. .. .
QWF Paragraphe Hugh MacLennan Prize for Fiction, 2008, Winner, Cockroach. Rogers Writers’ Trust Fiction Prize, 2008, Short-listed, Cockroach. 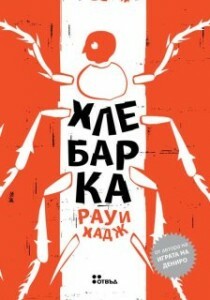 Scotiabank Giller Prize, 2008, Short-listed, Cockroach. IMPAC Dublin Literary Award, 2010, Long-listed, Cockroach. Globe and Mail Top 100 Best Books of the Year, 2008, Commended, Cockroach. Commonwealth Writers’ Prize – Best First Book, 2007, Short-listed, De Niro’s Game. Governor General’s Literary Awards: Fiction, 2006, Short-listed, De Niro’s Game. IMPAC Dublin Literary Award, 2008, Winner, De Niro’s Game. QWF McAuslan First Book Prize, 2006, Winner, De Niro’s Game. QWF Paragraphe Hugh MacLennan Prize for Fiction , 2006, Winner, De Niro’s Game. ReLit Awards – Fiction, 2007, Short-listed, De Niro’s Game. Rogers Writers’ Trust Fiction Prize, 2007, Short-listed, De Niro’s Game. Scotiabank Giller Prize, 2006, Short-listed, De Niro’s Game. Prix des libraires du Québec, 2008, Short-listed, De Niro’s Game. Манол Пейков, ИК Жанет 45, manolpeykov@yahoo.com, +359 888 981 481.